Hiring Managers. They’re Not Your Mom. Moms can’t resist telling us how brilliant, handsome, funny, and special we are. That’s unconditional love, and that’s what makes moms so deserving of our gratitude on Mother’s Day. However, there’s no place for unconditional love during your job search. While moms are the source of our confidence to go out into the world and strive to achieve more, we need a little more than our inherent specialness to impress the best employers and get that dream position. 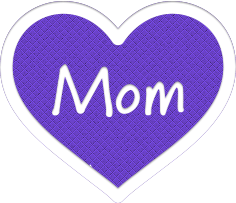 Momism: You have many, many special qualities. The cold hard truth: While you may give the best hugs, you only have a handful of precious minutes to prove your worth to hiring managers. Employers don’t care what they can do for you, they care about what you can do for them. So be prepared to back up your inner spark with concrete reasons why you are a good fit for the opening. Discuss your relevant skills and provide examples of how you reached objectives in your previous positions. Momism: You look great just the way you are. The cold hard truth: We all know that a mother’s love can be blind, but there’s no better time to look your best than a job interview. You may have the brains and the work ethic, but bad hygiene and sloppy appearance can deter hiring managers from extending the offer. Take time to polish your appearance. Get a haircut, make sure your hands and nails are immaculate, shine up your shoes, and wear well-fitting, pressed clothing. You are a reflection of your employer, and proper interview attire shows that you care about your personal presentation. Momism: You deserve the moon and the stars. The cold hard truth: Your mom would do anything for you, and wants you to have it all – just by being you. Employers, on the other hand, want your compensation to reflect the actual value you bring to the organization. Don’t expect employers to meet your demands because you want a better car, bigger home, or think you have simply put in your time. When it comes to negotiating salary and benefits, prepare to bargain with your track record of tangible accomplishments. Getting that next position isn’t easy. Toughen up, and leave mom and home during your job search (but feel free to tap into that unconditional love when you need extra motivation in pursuing your career goals).